Kohler recently introduced 2 new technologies on their toilet line…no longer do we have to sit around on a boring, standard commode! First up: Touchless toilets. Much like the automatic flush toilets found in public restrooms, now we can enjoy the same technology at home. The toilet flushes with just a wave of your hand over the sensor on the top of the tank; there is no flush lever. The advantage? Fewer germs – you don’t leave them on the toilet, and you don’t pick them up from the toilet, either. I’m hoping the tank-top sensor means no accidental flushing…nothing worse than having an automatic toilet flush before you even use it – am I right? 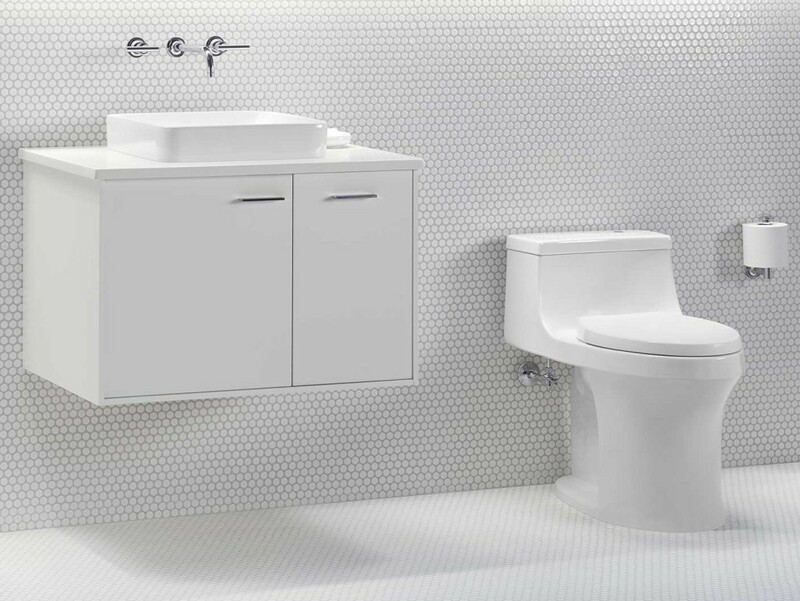 Kohler also offers the Touchless system as a retrofit product, which you can install on many standard toilets. So, you won’t necessarily need to replace your entire toilet to have this technology! You can learn more about the system at the Kohler website. What do you think – is this something you would like to have in your own home? 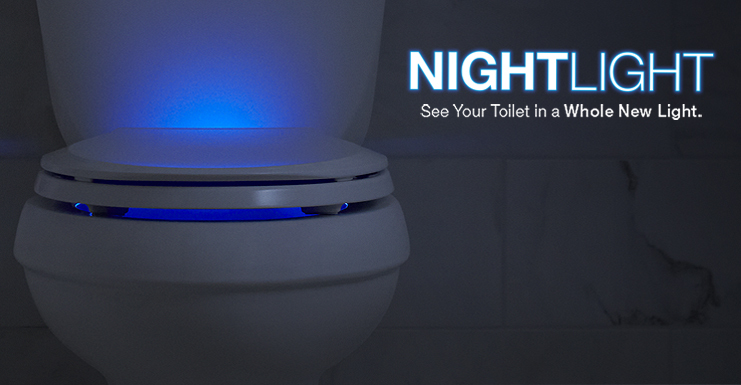 Next up: the Nightlight Toilet Seat! Don’t you hate getting up in the middle of the night to visit the bathroom, only to be blinded by the glaring overhead light? No more! Now your toilet can have its very own battery-operated LED nightlight built right into the seat. The light serves 2 functions, according to the Kohler website. First, it guides your steps, so there is no need to turn on the bathroom light just to use the toilet during the night. Secondly, when the seat is lifted, it offers a “task light.” I will leave to your imagination what “task” needs to be performed there. 🙂 The light can be set to turn on and off automatically, so you don’t even need to think about it. So, there you have it. Two new toilet technologies for your home. Would you use either of them in your next bathroom remodel? Leave us a comment and tell us what you think about the latest and greatest in toilet technology….